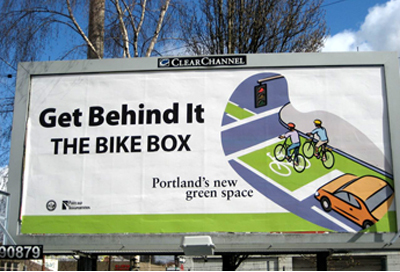 Bike Boxes are designed to save lives and prevent accidents. 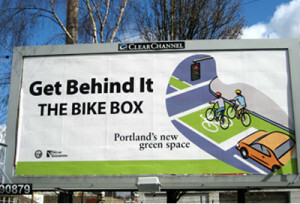 These billboards are designed to show drivers where to stop (behind the box) and to build support for the campaign. Honk if you’re behind it.